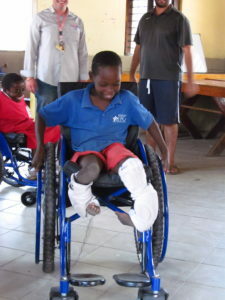 On the 25th July, Team Walkabout returned to Malawi for a second time to individually fit 250 wheelchairs. 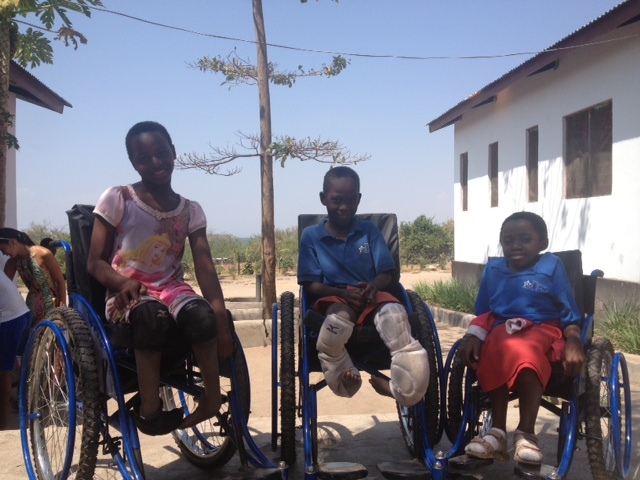 Bryony and Stefanie were accompanied by summer intern, Phaedra de Saint Rome on this trip to work in partnership with MAP (Malawi Against Physical Disability). During the week, the team travelled the entire length of the country to ensure as many people as possible could be fitted. Fittings were carried out in Blantyre, Zomba, Lilongwe and Rumphi covering a total of 676 miles in a few short days. 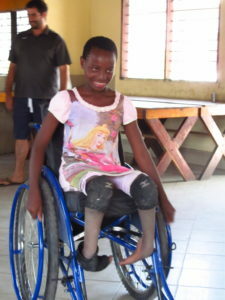 The team made many new friends, all with inspirational stories but one that stood out for us in particular is Talandila, aged 13, pictured above, whose face lit up when her mother told Walkabout that she would finally be able to start school in September. Another amazing example of how chairs change lives. Our successful distribution would not have been possible without the help of MAP’s incredible team -Thank you for helping us to change more lives in Malawi! Special thanks also go to Phaedra for her invaluable help throughout the week. 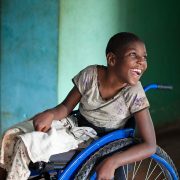 Team Walkabout recently travelled to Haiti, the country where we first donated wheelchairs after the devastating earthquake in 2010. 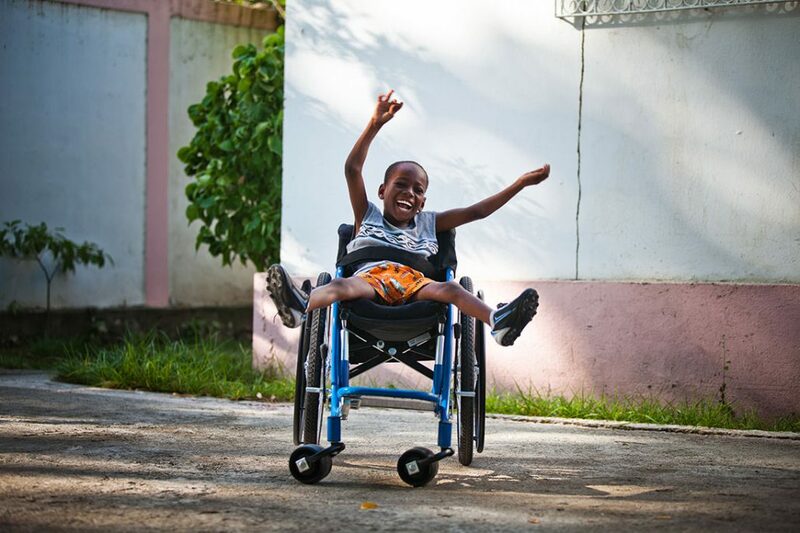 Monica Gonzalez-Bunster and Director of Programs Stefanie Haigh took a trip to Port-au-Prince, Fond des Blancs, Cap-Haitien and Central Plateau to meet some of the individuals whose lives have been changed by the donation of a Walkabout wheelchair. They were told many inspiring stories of previous recipients who have now started a new career, hobby or life as a Walkabout wheelchair user. 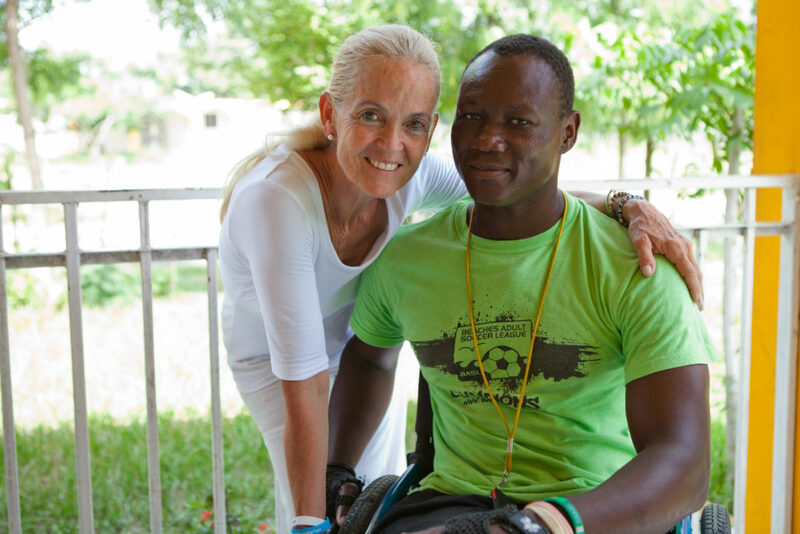 For example, Eugene Fritzner (pictured above with Monica) is now a prominent wheelchair athlete! The team also spent some time visiting our partners, BSEIPH (the Secretary of State’s Office for Persons with Disability), to talk about our ongoing pledge to donate 10,000 wheelchairs to Haiti, as well as talking to customs officials to ensure a smooth donation arrivals process into the country. All in all, it was a very successful trip. Thank you to everyone who has donated to Walkabout since the beginning. 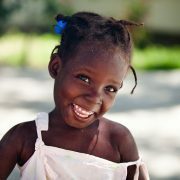 Your money has enabled us to change thousands of lives and make a huge impact on a country that desperately needed help. 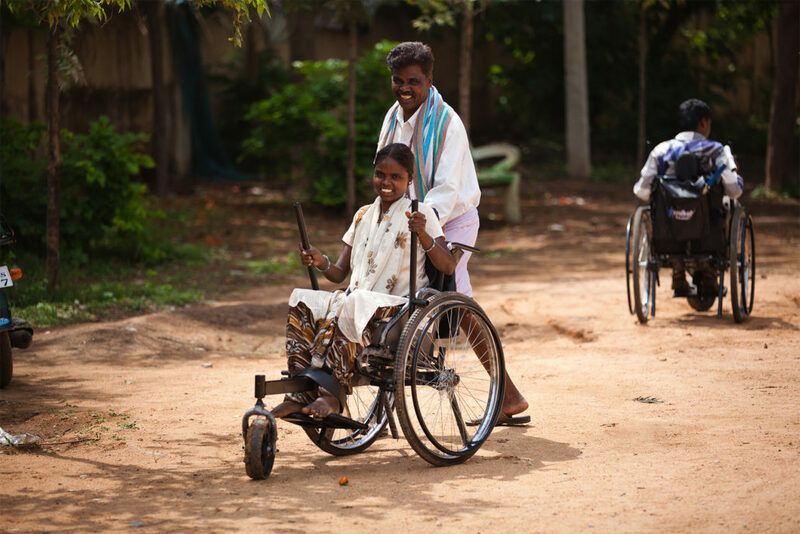 On the 31st May 2014, Team Walkabout travelled to India for the first time to distribute 250 Leverage Freedom Chairs (LFC) alongside The Association of People with Disability (APD) Bangalore. Bryony and Georgie were accompanied by a team from GoGrit, designers and manufacturers of the LFC. The LFC is a new rough-terrain wheelchair where the riders push levers instead of the wheels, giving them the torque they need to move beyond to pavement. As well as a full distribution day at the main APD campus in Bangalore, the team also travelled to a number of districts throughout the state of Karnataka to fit all 250 wheelchairs during the five-day distribution. Walkabout would like to commend APD on their outstanding commitment to helping the disabled community of Karnataka, and all of the support and hard work in helping put together such a well organised and successful week. Special thanks also goes to the team from GoGrit for their invaluable help. 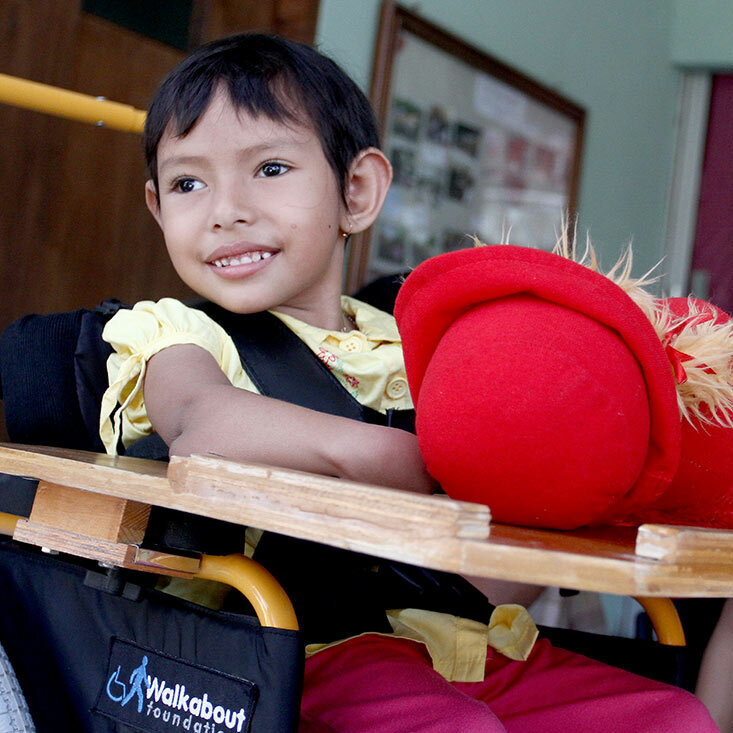 After a wheelchair training course in Indonesia in April 2014, Team Walkabout also spent a few days distributing chairs for Indonesians on the island of Java, in the Yogyakarta area, before heading to Bali to change more lives. Stefanie and Bryony spent some time meeting the United Cerebral Palsy Wheels for Humanity (UCP Roda Untuk Kemanusiaan) team in Yogyakarta, touring their workshop and learning from their well-established in-country system, before donating just under 50 intermediate chairs to the local community alongside the UCPRUK team. Team Walkabout then flew to donate more chairs in Bali in the Rendang area alongside Puspadi Bali, UCPRUK’s Balinese partner. This was Team Walkabout’s first venture into South-East Asia and we were not only touched by the local hospitality but also grateful to the teams for all of their guidance. Thank you to UCPWFH, UCPRUK and Puspadi Bali for helping us to change more lives in a new area. 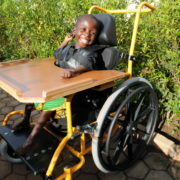 Team Walkabout headed to Uganda in March 2014 to distribute 200 wheelchairs alongside Soft Power Health’s Allan Stone Community Clinic in Bujugali near Jinja. Bryony and Stefanie were accompanied by our US Chairman, Kevin Mahaney as well as some fantastic volunteers from both the UK and Uganda. As well as a full distribution day at the clinic, the team also loaded up a truck full of wheelchairs and visited children homes and made journeys to remote villages and individual houses to fit and donate chairs. Being able to change a person’s life in their own home environment, by demonstrating the correct way to enter the home, go up steps and keep the chair in the best condition was extremely rewarding for the entire extended team. We are proud to have been able to make a difference in the lives of those who could only have wished for the independence and mobility that a chair gave them. Walkabout would like to thank Soft Power Health, the community clinic staff and volunteers, UK physiotherapist Heather Williams who volunteered her time and knowledge, as well as the local kayaking community who pitched in with some of the heavy lifting. Another successful trip! Team Walkabout were in Kenya for the first time in January 2014. Stefanie and Bryony flew out to Nanyuki for a full five day distribution alongside the United Disabled Persons of Laikipia (UDPL) during which 200 wheelchairs were fitted. As part of the official inauguration of their brand new disability centre, various members of the local government, including the Governor of Laikipia himself and the Minister of Health for the area, came to meet the team and show their support for the project. 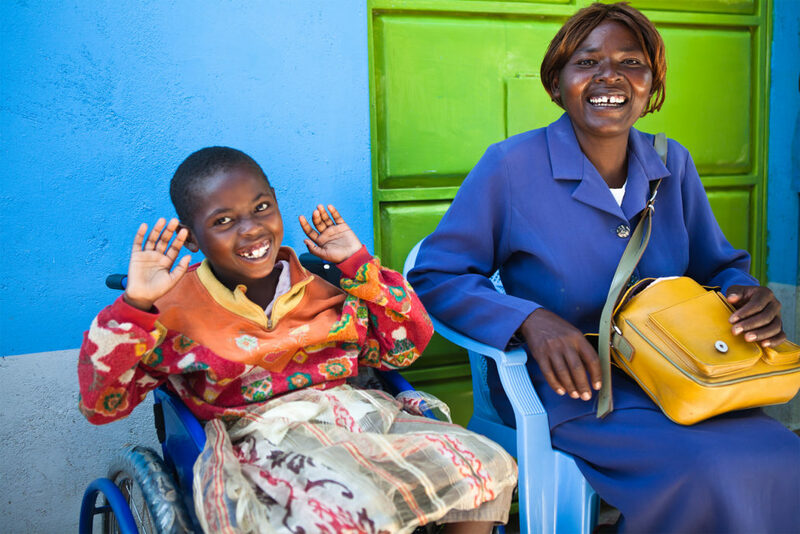 Kenya is making leaps and bounds in the support of those living with a disability and it’s a model that Walkabout hope to see more of across the developing world. Some of the lives changed in Kenya include 33 year-old Martin, a signwriter known by almost everyone in the local community, who is paralysed from the waist down. He will now be able to work twice as fast at his workshop desk because he won’t have to use one hand just to balance as he works. Walkabout would like to commend UDPL on their outstanding commitment to helping the disabled community of Laikipia, Kenya and their extremely hard work in helping to put together a very organised and successful week. Special thanks also go to Emmeline Carr of The Oriana Project for the introduction to UDPL as well as to her parents Laura and Peter for their invaluable help throughout the week. 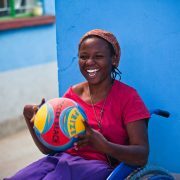 In Kenya they say, ‘Disability is not Inability’, and we couldn’t agree more. Hakuna Matata! 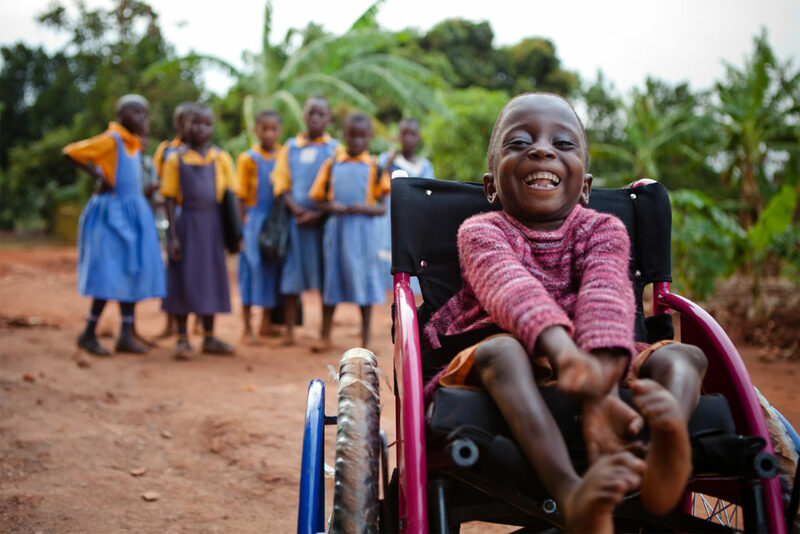 In December 2013, Team Walkabout had the pleasure of returning to Rwanda to work alongside PIH and distribute wheelchairs to those in need. This time, we went back purely for children armed with 120 UCP Kid Chairs and a fitting and technical team from UCP Wheels For Humanity. The week was split into 3 districts: Rwinkwavu, Kirehe and Butaro, where we were honoured with mayoral ceremonies. 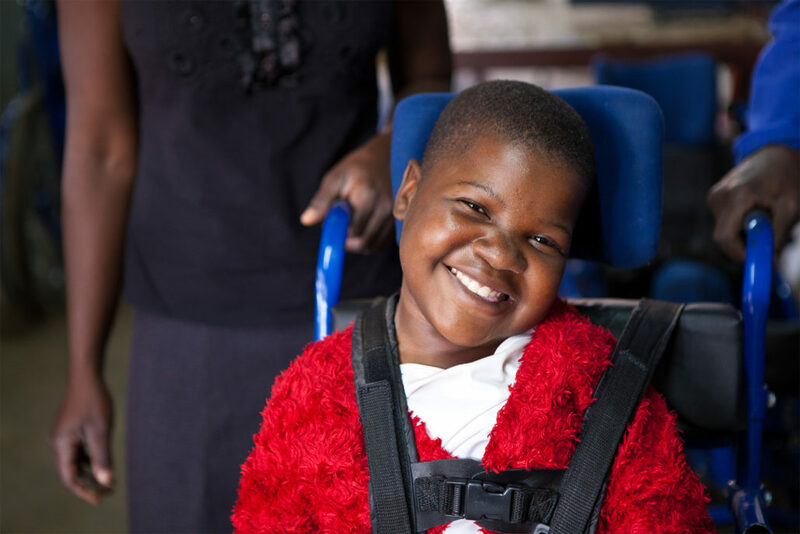 We met a whole host of beautiful children and their parents, who told us many stories of the hardships they had faced before and how grateful they now were for a wheelchair. Further proof that chairs really do change lives. Walkabout would like to thank PIH Rwanda and UCP for their support and help during this trip. 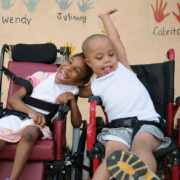 Last week, Walkabout Foundation was in the Dominican Republic to distribute wheelchairs to those in need with the help of Fundacion Pide un Deseo (Santo Domingo), Mustard Seed (Puerto Plata), Nuestros Pequenos Hermanos (San Pedro de Macoris), Fundacion Mir and Hogar del Nino (both La Romana). 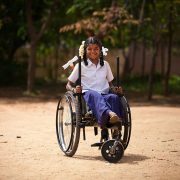 Long-term supporters of us may remember that this entire trip came about when Laura Porcella Mayol, of Santo Domingo, raised funds to hold a wheelchair distribution in her country by running the New York Marathon in 2012. 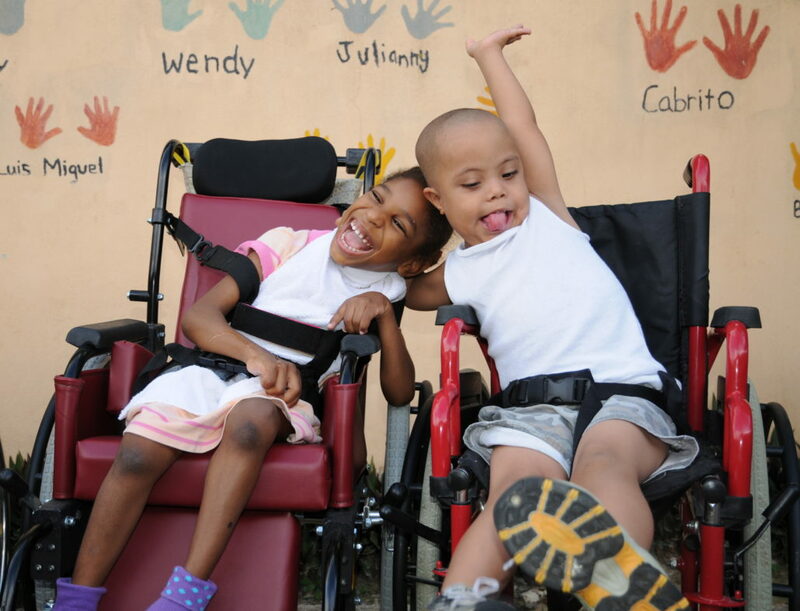 Months of training and work came down to last week in the Dominican Republic when Carolina, Maja, Stefanie and Bryony from London, England flew out to build, personalise and fit wheelchairs for those in need. For the first time ever, we also added ROC and Hope Haven paediatric chairs to our offerings, which proved hugely popular as the chairs provide so much more support for children in need. We are hugely grateful to everyone who helped us along the way with this project. Special thanks obviously go to Laura for her sterling effort and amazing achievement in the NY marathon. 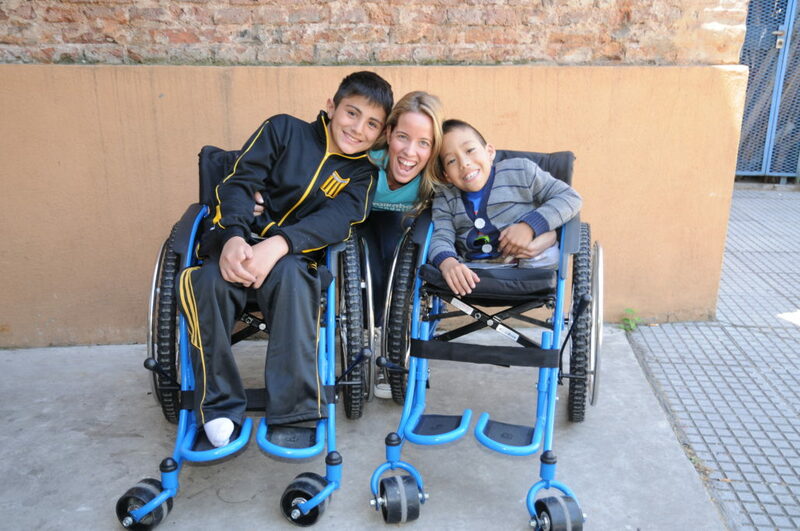 Team Walkabout headed to Argentina at the end of October 2013 to donate 250 wheelchairs. It was our first time in the country and we were thrilled by the overwhelming response that we received from the government, the people and through social media. As part of our partnership with Fundacion Banco Pro-vincia (BAPRO), we spent time donating chairs in La Matanza. La Plata, Mar del Plata. Balcarce and Buenos Aires alongside various members of BAPRO, including their president Karina Rabolini, who came along to meet the wheelchair recipients and learn more of how we were helping her country. We were also honoured to be a part of a special ceremony hosted by the governor Daniel Scioli, where co-founder Carolina gave a speech on the importance of fitted wheelchairs and told the story of Walkabout to a room full of wheelchair recipients, their families and the press. We would like to thank Fundacion BAPRO and the people of Argentina for their enormous support during this trip. We love receiving photos like these that came through from The Janada L. Batchelor Foundation for Children in Tanzania last week, where we recently helped to donate three chairs for three children with disabilities at their orphanage. The three children, Neema Malele (10), Mayila (9) and Veneranda (11), attend the JBFC’s Joseph & Mary Schools. The girls live at the orphanage, whereas Mayila is on a scholarship and lives half a mile away with his family. Chris Gates, Executive Director and Founder of JBFC, reports that the children are bright, happy and active students but struggle to keep up with their class-mates at times, especially after long days of study. Mayila, along with the girls, was so used to moving around on his hands and feet to get to and from school that he was tiring quickly. The girls used to have to be carried to all activities, such as their favourite reading buddies program at the library down the road. 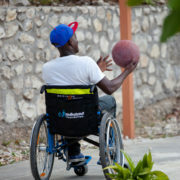 With the help of a generous donor, we sent three Tough Rider wheelchairs. Their sturdy build makes them perfect for rough terrain, giving the children all the independence that they need to be able to continue their studies and spend time with their friends. The smiles on the children’s faces say it all. These wheelchairs have given them freedom. If you would like to donate chairs to a specific project close to your heart, then please email info@walkaboutfoundation.org as we’ll be happy to facilitate it for you. 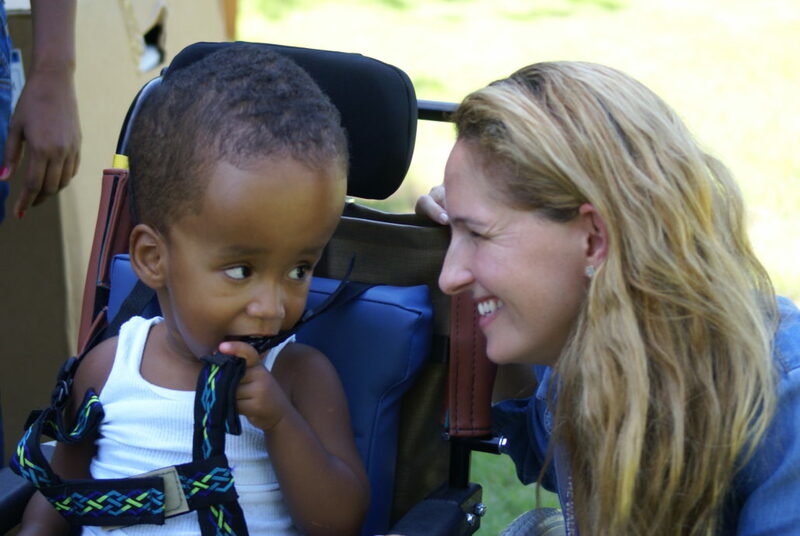 On April 15th 2013, Walkabout Foundation and a group from Greenwich Country Day School (GCDS) travelled to Haiti to individually distribute dozens of RoughRider wheelchairs to adults and kids in need all across the country. After GCDS hosted a walkathon at its campus this past October and raised $47,000, the equivalent of 156 wheelchairs, GCDS mothers Magdalena Miguens and Nancie Forrest, teacher and head of Community Service, Jen Donnalley, Saurel Edouard, and headmaster Adam Rohdie and his wife Alisa, all travelled with Carolina and Monica Gonzalez-Bunster to Haiti to build and distribute many of the wheelchairs the GCDS students fundraised for. If your school would like to get involved and do something similar, we would love to hear from you! Please email info@walkaboutfoundation.org. 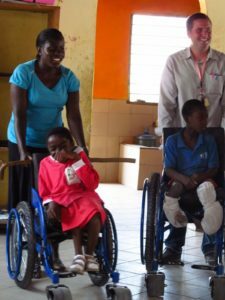 After a most rewarding trip to Ghana in November 2012, Walkabout Foundation decided to end the year with yet another trip to Africa to deliver more wheelchairs. On December 5th Carolina flew to Khartoum, Sudan and teamed up with the Haggar Foundation and a local NGO, Ustratna, to personally deliver 300 RoughRider wheelchairs to adults and children in need with a vast range of mobility disabilities. The week-long visit to Sudan was one of the most productive trips for Walkabout thus far. Carolina spent the first day training 50 Sudanese volunteers, made up of Ustratna’s students with intellectual impairments and a group of Sudanese Boys and Girls Scouts. These adolescents proved instrumental in helping Carolina build all 300 wheelchairs, and individually fit and adjust 200 chairs to 200 beneficiaries. She was blown away by their work ethic, attention to detail, and efficiency. 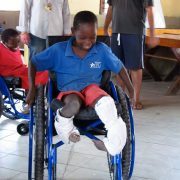 There are always a few stories that stand out from our wheelchair distribution trips that we like to share with you. 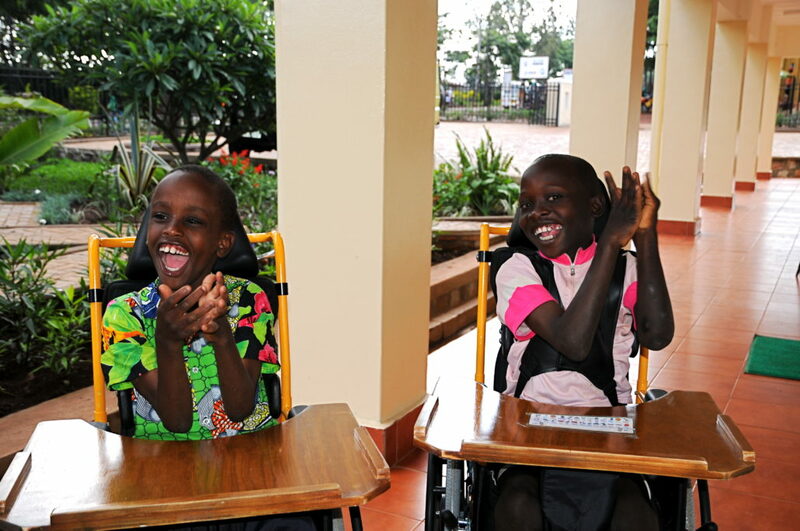 The story of siblings Mohammed and Sakina Mussa, 12 and 11 years old respectively, particularly touched Walkabout as it was the first time we encountered siblings who were both born disabled and arrived crawling. 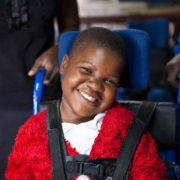 When fitted to their new wheelchairs, they could not stop smiling. Their grins stretched from one side of their face to the other!